To realize the full potential of your Enterprise Risk Management (ERM) initiative, you must integrate with other systems to help eliminate duplicate data entry and drive down process cycle times. That is why Active Risk Manager (ARM) delivers best-in-class integration with both desktop and enterprise applications. With ARM, you’ll be able to exchange data with industry-leading applications in categories including project management, accounting / ERP, document management, requirements management and Microsoft Office™ applications including Excel®. Best-in-class organizations have created collaboration sites for sharing information. Whether you are using SharePoint™ for document management and collaboration or use an Intranet to share information, ARM has a solution for weaving the risk management process into it. ARM Apps delivers the most used risk management processes in easy-to-use widgets that drop just the right amount of functionality into SharePoint™ or your intranet, helping to accelerate employee adoption of the risk management process. This is one of the best ways to gain everyone’s support for risk management in your organization. It is a fact. 90% of the world’s organizations have come to rely upon Excel™, Word™, PowerPoint™ or Access™ to help organize risks, share policies and procedures, inform managers and report on progress. It is simple to take your existing data and import them into ARM. We even make it easy to get data out of ARM for further analysis in Excel™ or Access™. 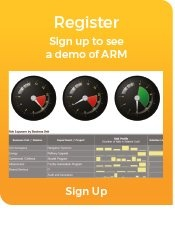 What a relief it is to know that ARM works seamlessly with your favorite desktop application!